Your ModKit contains items and you selected a Jurassic World ModKit. Visit Jurassic Park and see all the dinosaurs! 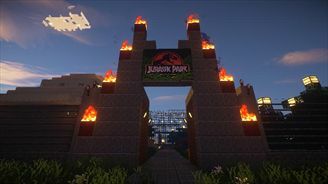 This ModKit includes prehistoric mods such as the Fossils and Archeology Revival as well as Falling Meteors!